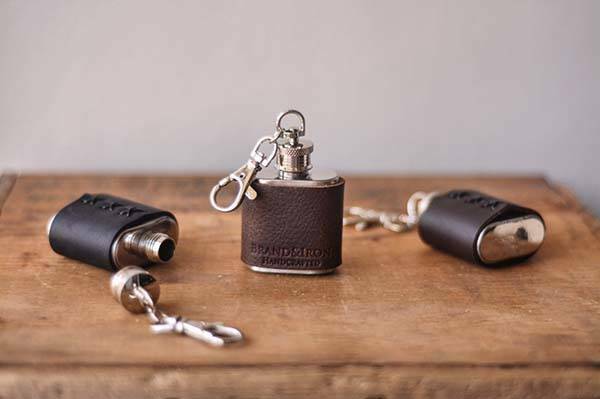 The handmade customizable leather keychain flask is designed to hold a shot of any alcohol beverage. Like the idea? Let’s continue checking. This is well-designed and pretty cute mini flask handmade by BrandIron, a handicraft studio in Vancouver. As we can see from the images, the flask shows off an ultra compact form factor, and using an integrated clip, you can effortlessly attach it onto your keychain, keeping it staying with you wherever you go. The mini flask is made from stainless steel for a solid and durable construction, and the leather wrapper is hand stitched using a waxed nylon thread for enhanced durability and classic aesthetics., while three optional colors allow it to meet more personal preferences. 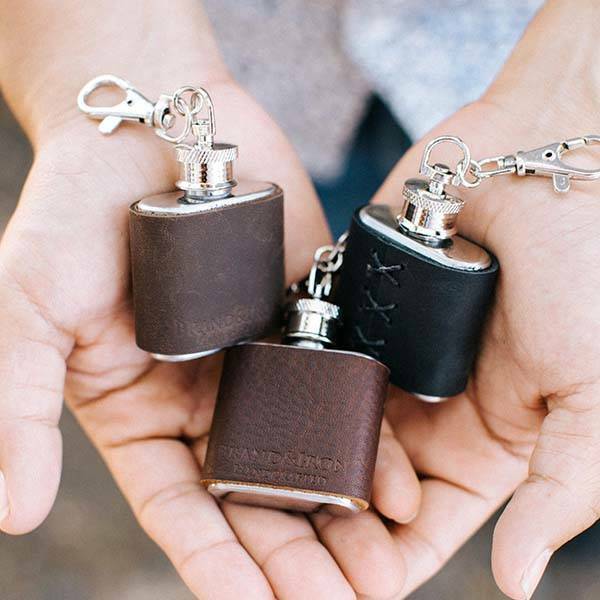 Furthermore, the keychain flask is designed to hold 1 oz of any alcohol beverage so that you can have a quick shot when needing to relax from some tough situations. The handmade stainless steel keychain flask with leather sleeve is priced at $15 USD. If you’re interested, jump to Etsy for its more details.